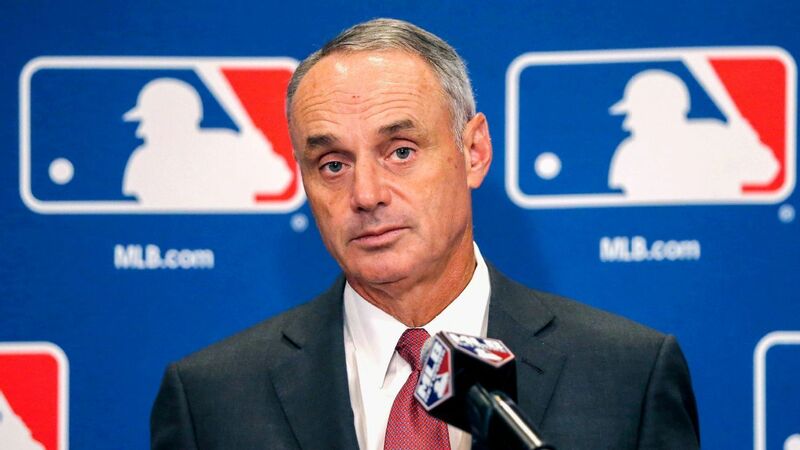 Baseball commissioner Rob Manfred said management is focused on pace-of-game changes for 2019, and bolder ideas suggested by players such as expanding the designated hitter to the National League are too complicated to be put in place for this season. Speaking Friday at the end of an owners’ meeting, Manfred said he is encouraged the players’ association responded to management’s proposal for a pitch clock and a three-batter minimum for a relief pitcher unless an inning ends. Manfred also said that he hopes free-agent stars like Bryce Harper and Manny Machado can reach deals before training camps begin next week.